Homeschool grades are often a source of discussion. Homeschool grades are a mystery to many. While homeschooled students are often credited with having a strong work ethic and unending quest for knowledge, we wonder how to grade their accomplishments. Most are adept at learning new concepts and skills and excel in their chosen field, as well as in college. While many reasons explain this exceptionalism, a few reign paramount. Homeschool families will note that each family homeschool’s in their own unique way. In fact, each child’s homeschool experience, even within a family, is often unique. One of the big advantages to homeschooling, the ability to create a custom experience for each student, creates this uniqueness. For this reason, it may be difficult to create a list of what brings success to homeschoolers as a group. Although this may be true, some traits show strongly in most homeschool success stories. Grading systems stand out as one of those traits. Public schools hand out grades according to the child’s performance on a specific assignment or test. While a grade is intended to give a snapshot of what the child knows at that time, it often is more an assessment of his or her ability to memorize facts. So many factors may affect the child’s ability on that assignment or for that day. But the score usually stands. And some students are just not good test takers. Homeschoolers often claim a different style of grading. 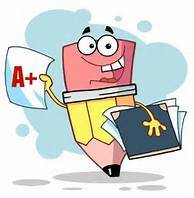 Many choose not to assign grades at all, unless necessary for their state or group requirements. Many now opt for a more life-like choice. In adult life, a job often needs to be done right, not just ok. When you are working on a job, you need to complete the task to perfection. Cashiers need to balance their cash drawer at the end of their shift. A carpenter needs to ensure his measurements are exact and his corners are square. Medications are dispensed by nurses necessarily without any errors. Restaurants strive to serve food properly prepared. The employee who excels at each job task finds getting and keeping jobs easier than one with a sloppy work ethic might. Similarly, a business owner striving for perfection keeps customers happy and receives more referrals. Comparatively, students should be encouraged to do their work as close to perfection as possible. Perfection becomes the goal of even the simplest of assignments or learning experiences. Allowing and accepting sloppy work leads to habits of “good enough” rather than a job well done. Thus, a grade of C on an assignment will encourage average, rather than excellence. Equally important, confidence and self-respect gained through excellent work will translate to a more self-assured and sanguine adult. Childhood and the teen years instill training for adulthood. Encouraging our children to excellence directs them to adult success. Just how can homeschool grades be shown? With this intention, what does a homeschool grading system look like? 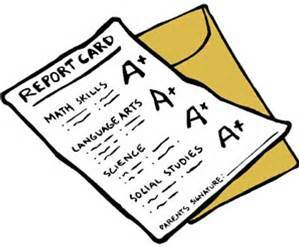 Many homeschool report cards show all A’s. Are parents handing out top grades, regardless of performance? Not in most cases. Regardless of the type of schoolwork done, many parents encourage perfection through re-working. When the student completes an assignment with several errors, he may be required to correct his mistakes. Even work not within paper or book can be redone until it is correct. One assignment that might take 30 minutes in a school room and be graded with a proper letter grade now becomes an assignment that is reworked until it receives an A. This might appear tedious. However, it solves the “good enough is good enough” mindset. No longer is a C on an assignment ok. In order to complete the assignment and move on, the student needs to do his best. It becomes imperative for him to work carefully and deliberately to save himself time and frustration. It also ensures he is not wasting time. Consequently, these students are learning good personal and work habits. Additionally, it encourages respect for themselves and others. These habits translate positively to both career and college. In addition, they will help them persevere throughout their personal lives. In the final analysis, regardless of the type of homeschool program a family selects, the grading system has a strong effect on success. A “job well done” criteria encourages better work and life habits. Students with good work and study habits become successful adults. Would you like more information on homeschooling? Please contact me with your questions. I enjoy helping families find their homeschool lifestyle!